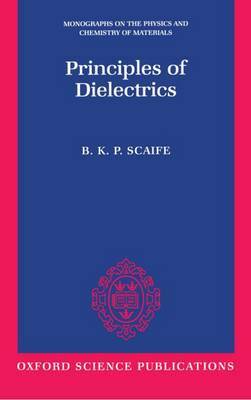 This work gives an up-to-date account of the theory of dielectrics suitable for graduates and final-year undergraduates in physics, chemistry, electrical engineering and materials science. There is a concentration on the basic principles of the subject, without a detailed discussion of experimental data. The macroscopic behaviour of dielectric materials receives most attention; nevertheless an adequate introduction to the microscopic theory of dielectrics is given. The treatment is necessarily mathematical, but sufficient verbal explanations are given so that the physical ideas are not hidden beneath a morass of mathematical symbols. Detailed derivations of key results are provided in appendices, together with extensive lists of references and further general reading.